Paglianti was founded in 1948 and produced mopeds from 1954 to 1958 with a chain driven transmission and a conventional roller transmission , using engines from Ducati Cucciolo, Garelli Mosquito, Minarelli and Morini Franco. 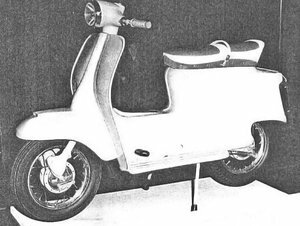 They then even added a miniscooter with two-stroke engine of 75 cc to their lineup. Paglianti was operation until 1962 until too much competition forced the closure.